Relief and support with style to spare are provided in the new Summit LSO available from SPS. Aspen Medical's Summit LSO limits motion and provides effective compression for the relief of low-back pain. Utilizing innovative materials and an ergonomic design, the Summit LSO contours comfortably to the vast majority of patient anatomies without compromising support. Conforming back panel provides custom-silhouette feel while administering direct pain relief to the lower back. Fits circumferences from 26-60 in. 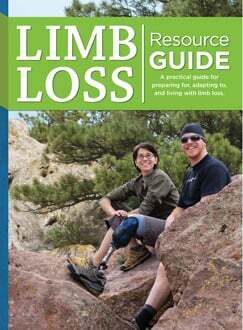 Based on the design of a traditional high-quality Becker knee joint, the GX-Knee comes equipped with a pneumatic spring on the lateral joint to assist with knee extension during the swing phase of gait. A medial knee joint is also included to help control knee alignment. 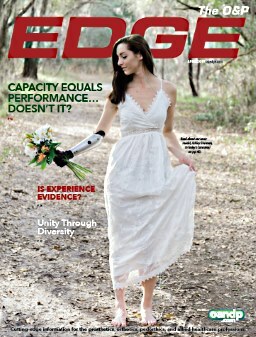 Every day clinicians are challenged to help patients regain functionality with prosthetic and orthotic solutions. A critical key to success starts with securing patient shapes and then crafting personalized solutions. 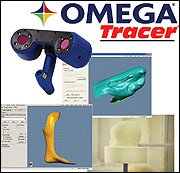 The OMEGA Tracer system, with the hand-held OMEGA Scanner, equips clinicians with a versatile system for shape capture, shape modification, and fabrication. This system may be used for lower and upper-extremity prosthetics including sockets, custom liners, and custom breast prostheses. Orthotic solutions with OMEGA Tracer include insoles, cranials, AFOs, and spinals. OMEGA Tracer is the leader in providing CAD/CAM solutions for the O&P industry. SPS offers the full complement of Hely & Weber products through SPS customer service or online via SPS' eStore. With more than 70 years of combined experience in the orthopedic and sports-medicine industry, Hely & Weber products have established a strong reputation for quality and value-oriented products. 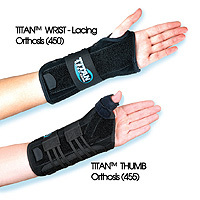 Initiating with the very popular TITAN™ orthoses for the wrist or thumb (450 and 455 respectively), Shoulder Immobilizer (501), Shields® Brace for patella stabilization, Universal Matt Strap (3709), Three Panel Knee Immobilizer, and WEBLY® Ankle Orthosis, SPS has the Hely & Weber brace you need for your upper- and lower-extremity patients. The UltraQuick Release™ is a universal component used for quick and easy conversion from a KAFO to a KO or AFO and back; or from an EWHO to an EO or WHO and back. Address the changing physiology of post-stroke patients with the Ultraflex Adjustable Dynamic Response (ADR) KAFO/AFO with the UltraQuick Release. The GeriMac knee is a new single-axis knee from Fillauer that incorporates a novel, automatic mechanical lock to provide maximum stability during the stance phase of gait. This new knee is perfect for geriatric needs and requires very little maintenance. Automatic knee locks at full extension. Rated for up to 175 lb. This is your chance to experience all the benefits of unequaled function without sacrificing anything. SPS customers may choose to receive one ALPS EZ Flex Liner from sizes EZF24 (24-25cm), EZF26 (26-27cm), or EZF28 (28-31cm) in either 3mm or 6mm profiles as a free sample. One sample per practitioner is available through December 15, 2009. 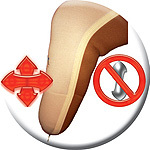 Unified flexible front has unique fabric that provides unlimited stretch over the patella for greater elasticity, while reducing pressure on the knee. Eighty percent less vertical stretch posteriorly as compared to other ALPS gel liners, virtually eliminating pistoning while minimizing bunching behind the knee during flexion. Balance Liner Find your Balance! 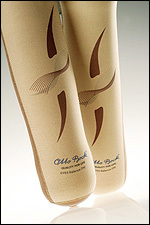 Otto Bock's new 6Y93 Balance Copolymer Liner was designed for low- to moderate-activity-level transtibial amputees. The user-friendly, heat-moldable copolymer (TPE) material offers great protection against socket forces for both cushion and locking liners, while encapsulated medical-grade mineral oil keeps skin supple and moisturized. Its unique shape is designed with balance in mind too, with differing wall thicknesses to provide 6mm of cushioning and reduced shear forces where your patients need it, and 3mm of anti-bunching flexibility where they don't. Find out more about how you can get your patients in Balance today. Ultraflex therapeutic-stretching bracing provides precise dynamic stimulus and proper posturing to maintain/increase muscle length for improved grasp, pinch, and release functions. 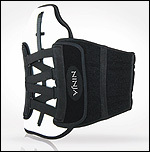 It is ideal for challenging neurological conditions such as CP, post-stroke, and TBI. Dycor's new K2 (assisted ADL) Dynamic Response (DR) feet are 30 percent more flexible than the K3 (unassisted ADL) DR version. Titanium pyramids are now standard (aluminum alloy option is available on the K2 version). Similar to energy-returning designs, Dycor's DR feet are lightweight and resilient because they rely on deflection of the varying-thickness leaf springs imbedded in the upper keel member rather than compression of rubber bumpers. Similar to other DR designs, Dycor's DR feet are ground compliant because they incorporate uni-, bi-, or triaxial ankle articulation. The Three Lock Box is a quick-disconnect device that can convert a KAFO to an AFO in one easy step. The box sits centered on the calf. The thickness of the box is 1cm. There are no bars left on the AFO when the KO section is removed. The Three Lock Box is self contained; there are no parts that can be lost. The Three Lock Box (Item #3LB) is available through PEL Supply, KnitRite, and Cascade.